Tireless fundraising by parents from a Bourne school and a generous donation have meant that 11 brand-new trikes have been purchased. 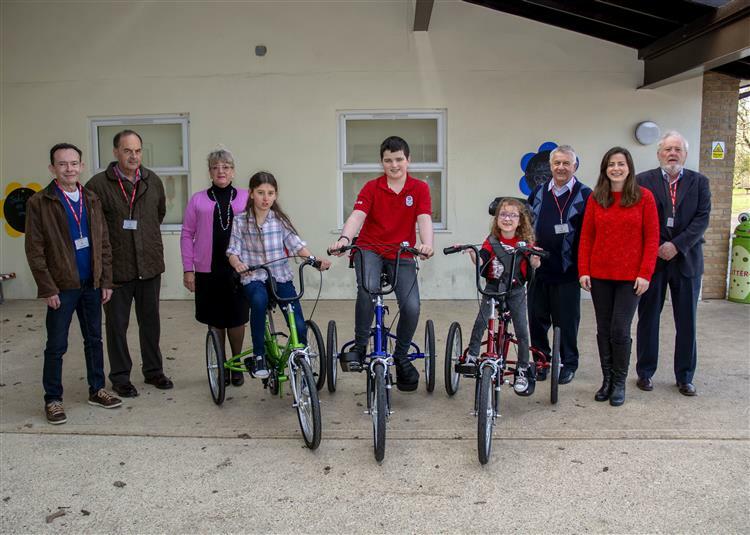 Pupils at The Willoughby School for children with special educational needs received the three trikes worth around £2,500 each from from the Bourne United Charities and purchased a further eight thanks to a major fundraising drive. Nina Prowting, deputy headteacher, said the trikes were gratefully received. She said:”When I joined the school in January 2018, we had a couple of trikes but they were a bit worse for wear. “I sat down with our fundraiser and we did some research into them and came across the Tomcat trikes.